“I am proud that we have made a set of anti-corruption laws. On March 11th the Law on Confiscation of Illegally Acquired Property is entering into force. We have been talking about it since we entered the Parliament. We have succeeded in ensuring that courts and prosecutors now have an effective tool to know what happens to the confiscated property “, said Niksic. Three years ago, Niksic announced the adoption of this set of laws by the end of the first year of the mandate of the Federal Government. This didn’t happen. In the first attempt of the adoption, in December 2013, this set didn’t get the support of the House of Representatives. After the adopted alterations and revisions, the set has been passed in the Parliament only in the last months of the mandate of the FBiH Government, in June last year. The anticorruption set included the Law on the Suppression of Corruption and Organized Crime, Law on Confiscation, appropriate amendments to the Law on Criminal Procedure and the Law on Courts, and a new federal law on misdemeanors. Niksic himself described this as a “historical moment”. However, although these laws were published in the Official Gazette of FBiH after their adoption, we still have not acquired the prerequisites for their full implementation. In the interview for “Klix”, Niksic talked about the entry into force of the “Law on Confiscation” and the beginning of work of the Federal Agency for Management of Illegally Acquired Property on March 11, although the name of its director was still not known. The competition for the appointment of the Director was completed December 11th, 2014, but the Secretariat of the Federal Government confirmed for Istinomjer that the appointment of the Director of the Agency has not yet finalized. When we contacted the Secretariat of the FBiH Government, we only got a response that we would be promptly informed of any developments regarding the appointment of directors and the establishment of this agency. It is clear that the “Federal USKOK” hasn’t started its work this week, given that, in addition to the names of its director, all other “details” such as staffing, space and resources for its work, also remain unknown. 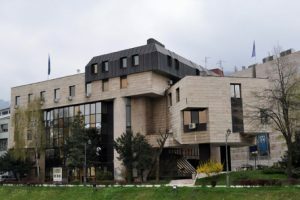 The Agency certainly can’t be established without a director, as this is a person who needs to pass an ordinance on internal organization, and only then it would be possible to know the number of employees and execute court registration of the agency – as confirmed by Federal Minister of Justice, Zoran Mikulic, in February this year. For this purpose, as Mikulic said on that occasion, the current budget reserve FBiH was increased by 2.5 million. 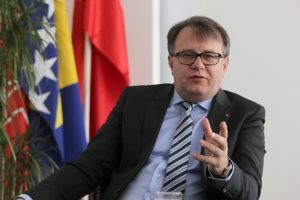 Upon the adoption of the set of anti-corruption laws, Prime Minister Niksic exercised numerous consultations with representatives of the judiciary in the Federation and has continuously repeated that it would promptly enter into force and that all necessary conditions would be meet. However, yet another law’s implementation has been postponed in late January this year, since the prerequisites for its active entry into force have not been met. This was the Law on fight against corruption and organized crime, which was also part of a set of laws adopted in June 2014. This law was supposed to take effect on 1 February this year, until the FBiH Government postponed its implementation for January 1, 2016, because basic conditions weren’t met. 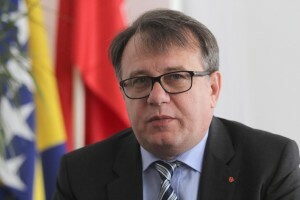 Back then, Istinomjer expressed skepticism regarding the possibility that the “Confiscation Law” will be implemented on time, which has now been confirmed by the Secretariat of the FBiH Government. 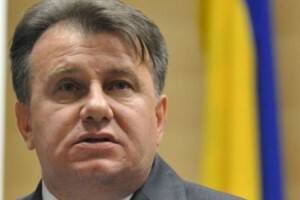 Given all the above, we can reasonably ask on what bases had Niksic, just a week ago, stressed the fact that on March 11th the Law on Confiscation of Illegally Acquired Property will be entering into force, and portrayed this as a great success of his Government and something to be proud for, when he had to know that the conditions for that have not been met. Despite these “big words”, the law will obviously not be effective without the secured mechanisms for its implementation, which means that the application itself will remain on hold.